Chamber Members are invited to join us for our new monthly networking and referral meetings in North Hudson! If you've been wanting a venue to grow your referral network, The Breakfast Club is for you! 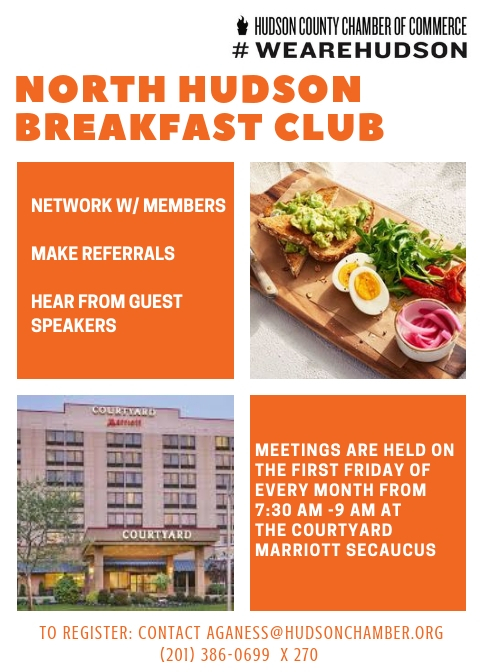 Our North Hudson Breakfast Club meetings are open to Chamber Members only. Meetings will provide Members the opportunity to meet orther businesses in the area, grow their team building skills, pitch their business, help each other to make referrals.